compatiblity issue of the Bluetooth Adapter with the Rpi. Please take a look at the RaspberryPi list of “RPi USB Bluetooth adapters Verified Peripherals” and see if you Adapter is listed. 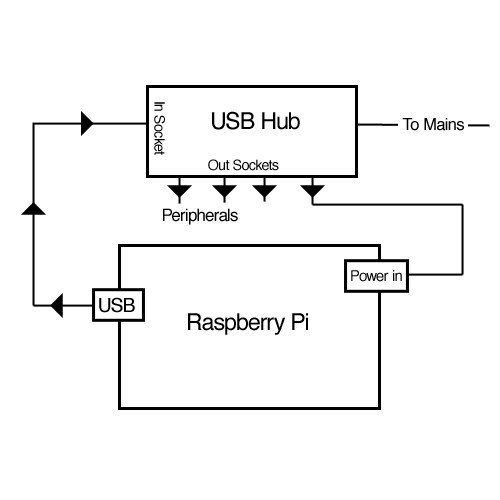 The Power Supply of the RaspberryPi’s USB-ports are very low. In most cases you need a Powered USB hub to let WiFi and Bluetooth Adapters work properly. Also confirm that the Power Supply of the RaspberryPi can power your RaspberryPi with all his peripherals. Now you could connected the Bluetooth and/or WiFi adapter(s) to the Power USB hub and should not have power issues. For more info about the “BT_Connect() returned -1” error, see the SMAspot support forum. For more info about the power issues of the RaspberryPi, see the Power Issue topic on the RaspberryPi forum.